Heel to Face: No No No! No No No! It me, Jamie. It me, the one who never got to see a bearded leprechaun (not you, Sheamus, get away from me, Sheamus, your beard smells like old tires, Sheamus) perform for millions of people in the name of athletic fiction. It me, the one who never got to see WWE Superstar Daniel Bryan in his prime before he was forced into an extended hiatus following Wrestlemania 31. I’m sad. I’m weeping. But I still have a nagging voice in the back of my head that thinks this isn’t real. 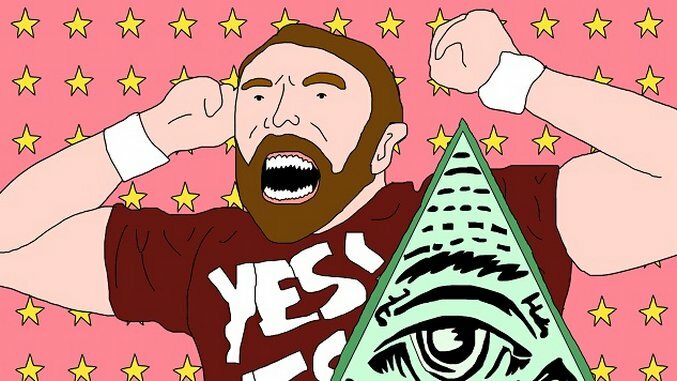 Please excuse my hot take, but I refuse to completely give up the (albeit pedestrian) notion that Daniel Bryan, Napoleonic champion of the affirmative statement and low-key vegan hero, could be dropped from the roster permanently in spite of his 2015 injury. While he certainly does have a history of injuries (see: neck surgery and losing all the strength in his right arm in late 2014), there have been multiple doctors who have declared our boy fit and ready to go. I’m not willing to give up the idea that he’ll come out swinging at Wrestlemania 32, and you can’t take that from me. You can take my Brie Mode weave hat, you can take my Xavier Woods wet dreams, you can take my arguments with Target employees for not stocking Big Show action figures, but you cannot take the hope that we haven’t seen the last of him. The “effective immediately” quality of the announcement just hits me the wrong way, and anyone can haul their aunts out to a stadium in Seattle to witness a falsehood. Right? Right? Look, babes. We’re not getting Rollins back any time soon. Cena thinks he’s a comedian now. Creative will never have the good sense to give The New Day the full spotlight they deserve. What is feminism or justice for the Divas, anyway? Roman Reigns is a jacked bowl of vanilla pudding with a voice and personality that literally feels like it is being channeled through another bowl of pudding. If Bryan isn’t enacting one of the finest storylines to ever touch the organization, then there’s plenty to be worried about in the upcoming two months. WWE Commentator: Move over, King Jerry, there’s a new well-intentioned, seriously concussed white man who is willing to be paid millions of dollars to yell! Bryan’s got the enthusiasm to be up to snuff, but it’s difficult to imagine him behind the desk this young. Vegan Farmer Who Looks Vaguely Familiar: “You hear that old man Danielson used to be on the TV?” the rural Washington kids will whisper to each other forty years down the line as a wizened Bryan pulls weeds from his front yard. They’ll whisper about the twin old ladies that haunt the center of town in sequined robes, humming auto-tuned songs from the early aughts, and speculate whether Old Man Cena is still down to grant a Make-A-Wish. Tuesday Night Lounge Act: What career couldn’t potentially end in a halfway decent lounge act? I’m talking cheesy novelty albums, I’m talking flaming batons, I’m talking pulling the full Foley-Ziggler and taking advantage of the massive pull the WWE has in live comedy. Selfishly, I’m talking about two consecutive hours of pumping arms and shouting “YES!” while charging fifty bucks a pop so that I can get some discounted catharsis. Also, let’s not rule out the recent success trombones have had in the division. Embittered: But in that affable Daniel Bryan kind of way. Imagine a string of “Good for him”s at company functions. “Sure, I would have done it a little differently, but, sure.” “That wouldn’t have flown when I was Intercontinental Champion.” “What does a championship even mean anymore?” (Nothing.) The best part of being a high-profile retired person is having fifty years to be passive aggressive about it to people in the same industry, citing your licensed WWE tie-in book for insurance. The New King of NXT? : With the fall of ol’ Vincey-poo imminent, Triple H will have to pass the fruits of his labor down at some point, and who better to inherit than the Superstar who debuted on its first episode? The Best Plot Point in WWE History, Saving Wrestlemania 32 and the Lives of Mere Mortals One and All: I can’t let go. This is my first Superstar I’m losing and like my virginity and my aunt’s Uber password, it will not be with comfort or volume. Babyboy’s gotta come back, right? 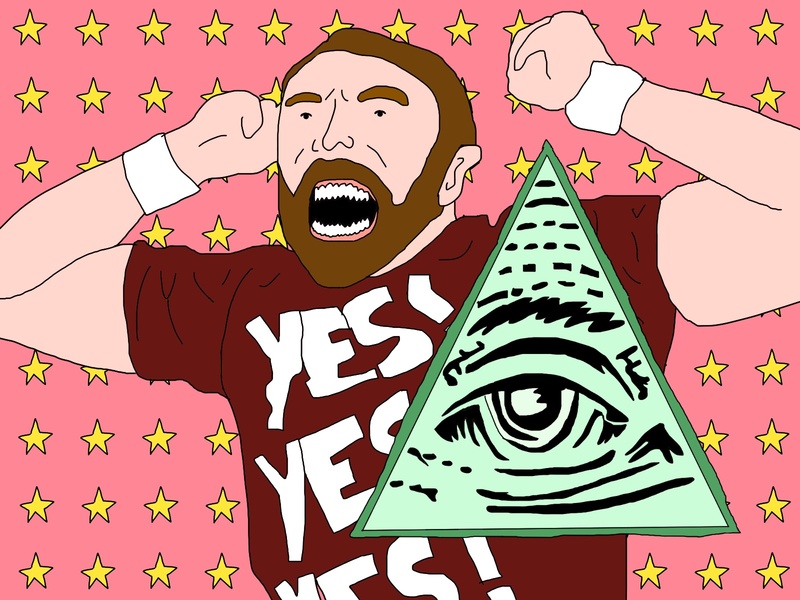 The WWE Illuminati has us by the balls, right? We’re not stuck with Roman “Pudding Breath” Reigns, right? - Seriously, that Big Show article broke my heart, enriched my mind, and encouraged me to upgrade that sweet, sweet vape. TARGET, RESTOCK MY BOY. - I saw Mick Foley in a comic book shop last night and got so nervous I pissed myself, bought a comic book and left. I don’t even like comic books. - That said, I will be at Foley’s stand-up show tonight because I care. - Is it legal to say in a publication that I have now been eaten out to the Big Show theme song? Well? WEEEEEEEELL? - Roman Reigns is literally a pudding man.